One such example is Telkom’s recent R2.67 billion offer to buy out JSE-listed Business Connexion (BCX), in a bid to boost its IT capabilities. News of Telkom’s move followed in the same week as Vodacom announced that it had reached an agreement with Neotel regarding the purchase price, moving a step closer to the next phase of a deal that has been in the making since September. These and other such potential deals will require approval from various regulatory authorities, including the Independent Communications Authority of SA (ICASA) and the Competition Commission. While paperwork for the Neotel buyout is expected to be prepared shortly, the proposed Telkom- BCX tie-up is still at a very preliminary stage. In addition, Telkom, which has been ditching its non-core businesses, recently entered into a deal with mobile operator MTN that moots the creation of a joint venture to house tower assets for both companies. This would save Telkom from spending more to grow mobile infrastructure, while also giving both companies access to more coverage. Independent analyst Paul Booth sees the recent announcements as “just the start of a consolidation run”. He notes that boosting digital inclusion will require prices to come down, and for that to happen, players need to ramp up capacities by buying out other companies. There has been a global move towards consolidation in recent years, says Booth, and countries such as China, Japan, the US and the UK each have only three major operators within their telecoms markets. Global deals started happening around two to three years ago, and have been accelerating over the past few months, he notes. SA cannot afford more than three players, which is another consolidation driver, Booth explains, adding that – post-consolidation – he anticipates the local telecoms space will be occupied by Vodacom, MTN and Telkom. And in light of the current moves being made by Vodacom and Telkom, he warns that South Africa’s third mobile network, Cell C, “must do something” to remain competitive. Ovum analyst Richard Hurst agrees that “we can expect to see further market consolidation”, because of the pressure of increased competition. He notes that the Telkom-BCX deal is significant, as Telkom is once again seeking to move up the value stack and compete against other operators. This is Telkom’s second bite at BCX, after it tried to buy out the outsourcing company seven years ago. At the time, its R2.4 billion offer was quashed, because of competition concerns raised by regulatory authorities. This time, both parties are more hopeful that the merger will be successful. 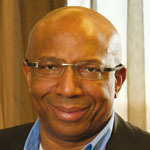 In an internal e-mail to staff, Telkom CEO Sipho Maseko" rel=tag>Sipho Maseko says the deal would give Telkom scale to expand into IT services and help reinforce its core connectivity business. “Telkom believes that this combination will create a leading ICT company in SA, with unrivalled capabilities throughout the country,” Maseko explains. The publicly-listed BCX is considered a “significant player” in the local ICT services market, and has strong capabilities in managed IT infrastructure, including data centres and application development. BCX believes the tie-up would enhance its ability to accelerate its international growth, especially into Africa, which has been a focal point for the company. CEO Benjamin Mophatlane says there are “clear opportunities that exist between our respective companies”. Telecoms and IT convergence is happening and this is another example, says Perry. She says, however, whether the Commission will allow it, remains to be seen. Perry notes the initial deal was rejected, because the Competition Tribunal believed it could have given Telkom a price advantage. She notes the pending deal will have implications for the other telcos, which have business offerings, specifically MTN and Vodacom, and the commission may not be inclined to help Telkom dominate the convergence space. This time, Telkom is bidding a cash amount of R6.60 a share to buy out BCX, valuing the company at R2.67 billion – a 20% premium on its value when initial cautionary statements were issued on 14 April. 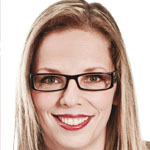 BCX deputy CEO Vanessa Olver says the landscape has “totally” changed in the past eight years, with an influx of players that compete with Telkom, noting the rise of offerings from companies such as Neotel, Vodacom, MTN and Cell C as examples. Olver adds that BCX has also transformed as a business and has sold out of much of its communications offerings, leaving minimal overlap between the companies. The reality is that IT and telecoms companies are merging, she adds. One such example is Japan-based NTT’s successful R24.2 billion bid for home-grown Dimension Data a few years ago. 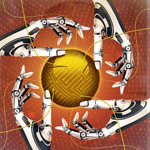 Olver says there have also been several international mergers between communications and IT companies. The two firms, she says, are much more hopeful of the marriage being consummated this time around; noting much of the groundwork has already been done before the buyout needs to go before the regulatory authorities. Should the deal succeed, Telkom would increase its IT capabilities, while aiding BCX with its African growth plans. Telkom sees the deal as an important part of returning to financial stability. Sipho Maseko, Telkom" />Africa Analysis MD Dobek Pater gives the Vodacom-Neotel deal a “fairly good” chance of being approved, noting that it may also depend on whether all Neotel’s assets, such as spectrum, would go to Vodacom. Booth would have put the chances of Vodacom’s bid succeeding at 70% with ICASA, and then 90% with the Competition Commission, before Telkom’s resurrected bid for BCX, which has improved the odds. 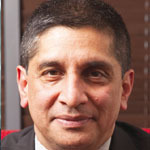 Both parties are preparing paperwork for regulatory approval and will inform ICASA that Neotel’s spectrum is being used effectively, and that it will continue to be used effectively going forward, says Neotel CEO Sunil Joshi. 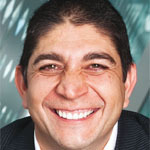 He adds the company believes its purchase by Vodacom will increase competition in the sector. Booth says if ICASA and the commission understand market forces and global trends, they will allow the mergers to go ahead. He notes that, of the top 20 IT services companies; almost none are pure IT services companies, citing examples such as T-Systems and BT. Because of global trends, the authorities have no choice but to sanction the Vodacom and Neotel deal, a decision that will be strengthened by Telkom’s bid for BCX, says Booth. However, he anticipates a few dissenting voices against the Vodacom bid, which could include Cell C, and the Independent Service Providers’ Association. Booth adds the drive towards consolidation is that companies need cash to grow, and buying other entities provides them with more capacity, allowing for economies of scale, which makes it possible for prices to drop. Everyone wants more capacity at affordable prices, he says. Business has been clamouring for some time for more capacity at affordable prices, says Booth. Both Vodacom and Telkom’s bids are undertakings to boost their business units. Shameel Joosub" rel=tag>Shameel Joosub, CEO of Vodacom has already said that the company’s fixed business will be merged with Neotel, which will continue to act as a standalone entity. Booth would not be surprised to see Telkom Business merged with BCX. He has also made the point that Vodacom is not transferring spectrum from Neotel, which will continue to be held by Neotel. However, Booth says Vodacom could be forced to give up Neotel’s spectrum, but will still be in a better position than it was previously, as it will have more fibre. Neotel, which launched in 2007, has access to more than 15 000km of fibre-optic cable, including 8 000km of metro fibre in Johannesburg, Cape Town and Durban, as well as two chunks of 12MHz of space in the 1 800MHz spectrum range, two units – each of 5MHz – in the 800MHz range, and two blocks of frequency in 3.5GHz. Booth says there is a huge opportunity to roll out fibre to businesses and homes, and the move towards the Internet of things will require more network capacity. He notes that by 2017, current conventional terminals – such as laptops, smartphones and tablets – will only make up 40% of all connected devices. Pater notes Neotel’s fibre network is more extensive than Vodacom’s on the access side, although Vodacom has a very extensive fibre-to-thestreet network. He adds Vodacom will benefit from the metro and access fibre infrastructure, although to what degree is uncertain, as some of the network may be duplicated. Joosub says Vodacom is speeding up its capital spending over the next three years, as it moves towards offering more converged services, which includes fibre, cloud, a network that can handle video, as well as digital services. This move will be sped up by the addition of Neotel’s network, he says. Vodacom is not alone in this move, as MTN is now doing an “aggressive deployment” of fibre-to-the-home (FTTH) to high-density urban areas, like upmarket gated communities, boomedoff suburbs and high-rise buildings. The official commercial launch for the product in these areas is set for 1 June, as “advanced discussions” are under way with several additional residential sites. Telkom, which has the biggest fibre footprint in SA, with 147 000km or 80% of all fibre in the ground, is also planning its FTTH launch for this year, as operators battle it out to grow their top lines while voice revenue continues to dwindle. Pater says Vodacom’s coverage gain depends on the level of network duplication, although he suspects the biggest gain may be here. He adds it will become more competitive, as it will own more of the underlying infrastructure, and should be able to compete better on pricing. Hurst says the addition of Neotel’s fixed-line infrastructure and customer base will be a significant boost for Vodacom. He says Vodacom will gain Neotel’s customer base and infrastructure, which will be able to support the anticipated increased mobile data traffic backhaul, as well as being able to deliver more advanced services to the existing Vodacom enterprise and consumer customers. Shameel Joosub, Vodacom" />However, Hurst does not anticipate current pricing structures changing. He says one of the most likely results of the deal will be that other players will start to look at their own infrastructure and their ability to compete in such an evolving market. “We can expect to see further consolidation, if only at a superficial level with operators partnering and entering into joint ventures.” Perry says Vodacom’s bid for Neotel is a spectrum deal. “The delays in making frequency spectrum available and unbundling the local loop have led to the operators rolling out their own national, regional and metro fibre networks to provide the capacity they desperately need to meet consumer demand and continue to grow their businesses”.